The app is now appearing on devices in France, Germany, and the U.K., according to various posts on Twitter, first noticed by MacRumors. Previously, the client was only available in the U.S., Canada, Australia, Sweden, and Norway. For the client to be useful beyond video from the iTunes Store, third-party apps must be specifically supported. In the U.K. some compatible titles should now or soon include BBC iPlayer, ITV, and My5. On Wednesday the Apple TV gained a long-promised Amazon Prime Video app. 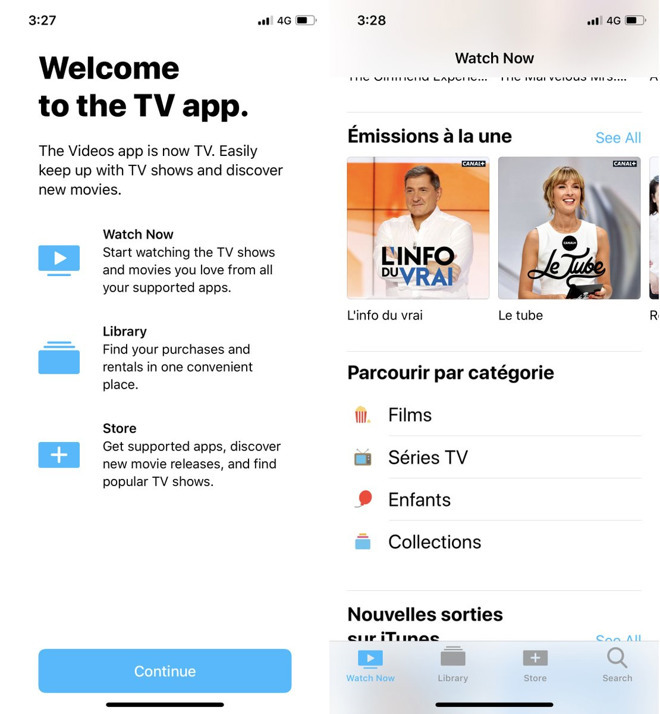 Videos from Prime will appear in the TV app.